Donkey Racing was a long established activity in Cuckfield, organised by Peter Bowring. It started in 1951 and continued until 1965. The Donkey Grand National was held on August Bank Holiday Monday on the fields at Whitemans Green. Local “good causes” brought their stalls and sideshows to raise money from the racegoers who numbered around 10,000. In 1965 the Whitemans Green fields were compulsorily purchased by the local council who turned down the request to stage the Donkey Grand National. 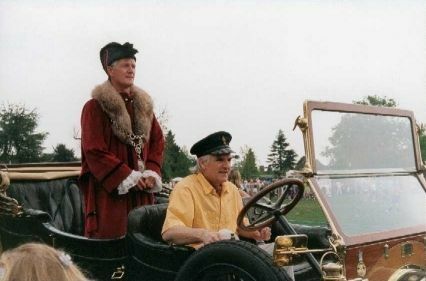 New ways were needed for local causes to raise money and thus the Annual Mayor’s Election was born. Votes costed 6d. Thus Cuckfield declared itself independent in 1965, shortly after Rhodesia had declared UDI. 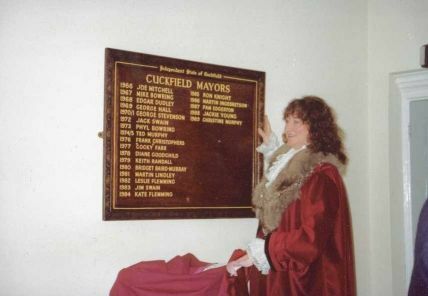 The rules of the Independent State are that every penny raised must go to help Cuckfield and its inhabitants. The only exception is for stallholders at the Cuckoo Fayre where money is collected for any charity or good cause worldwide. Passports, stamps and currency were issued. The stamps were used locally during the national postal strike and “Cuckoo” notes were legal tender in Cuckfield. Five Cuckoos were worth one shilling. 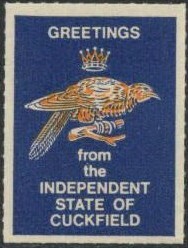 The Independent State of Cuckfield was also formed to look after Cuckfield and its inhabitants. In 1971 when the High Bridge on the A272 collapsed and Ansty was cut off from Cuckfield, the Cuckfield Mayor was instrumental in getting the County Council to provide a temporary Bailey Bridge until a permanent repair was completed. In 1975 the Independent State again successfully challenged the Council, this time over the plans for a 32 acre rubbish tip on land at Sparke’s Farm. Each year many events are organised: the Cuckoo Fayre, Mayor’s Election and Procession, Old Folks Christmas Lunch and Party, Sponsored Walk along the Downs, Easter Monday Walking Races, Children’s Easter Bonnet Parade and last but certainly not least a Sponsored Swim, Picnic and Sports Day for children “10 and under”. Money raised has been used for sponsoring young people on expeditions such as Raleigh International, educational or sporting projects; equipment for Mill Hall School, the Primary School, and Warden Park School; modernisation of the Cottage Homes; domestic equipment for some older residents; camping equipment for the Scouts, improving the environment of Cuckfield e.g. bus shelters, village signs, tree planting and also re-commissioning the paddling pool in the children’s playground when the Council could not afford to do so. Then first mayor, in 1966, was Joe Mitchell.